Hell's Kitchen Season 17 Where Are They Now? 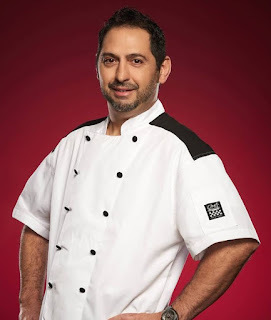 Hell's Kitchen Season 17 All Stars aired September 29 2017 on Fox Network, there were 16 contestants and the prize for the winner was a head chef position at Hell's Kitchen Restaurant at Caesar's Palace in Las Vegas, Nevada. 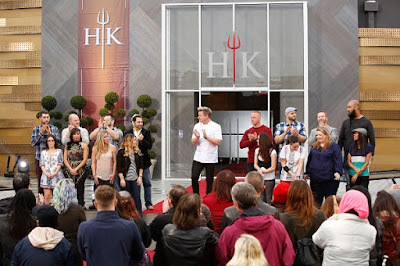 Find out what the Hell's Kitchen season 17 contestants did next after appearing on Hell's Kitchen with Gordon Ramsay. Hell's Kitchen season 17 where are they now? Amanda Manda Palomino was from Atlantic City, New Jersey and competed in season 15, where she finished in 5th place. 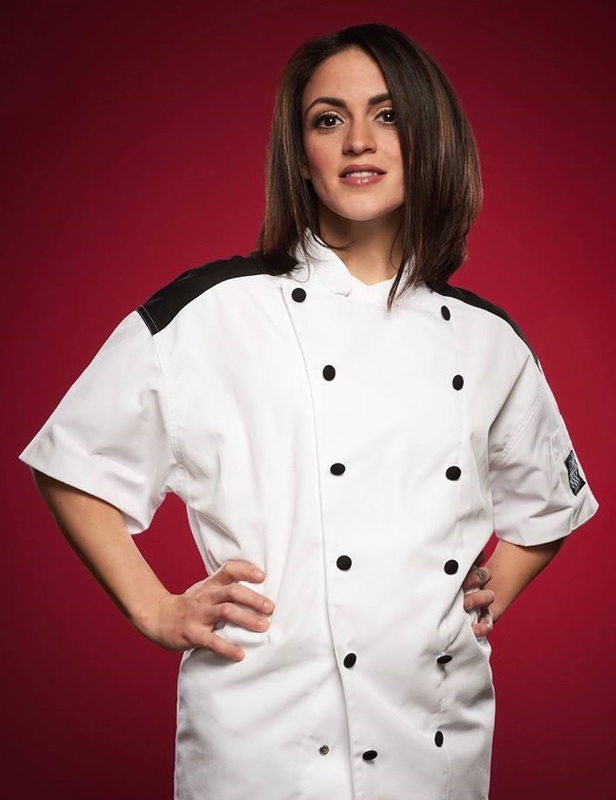 She was eliminated from Hell's Kitchen in episode 8 after she cooked raw pork and was not ready to lead a kitchen. After the show, she returned to her position as manager of CupKing Cafe and later moving into virtual chef services. She is taking part in Reality Rally 2018, a charity cookery event. Ashley Nickell was from Orlando, Florida and competed in season 15, where she came in 3rd place. 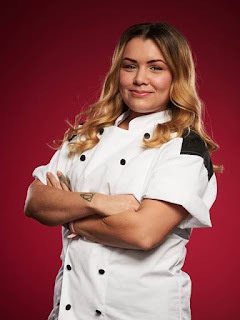 She was eliminated from Hell's Kitchen in episode 3 after failing to communicate, checking her watch and disappearing for a long break during service. After the show, she is currently cooking at Parkview House in New York. Barbie Marshall was from Strasburg, Pennsylvania and competed in season 10, where she came in 4th place. 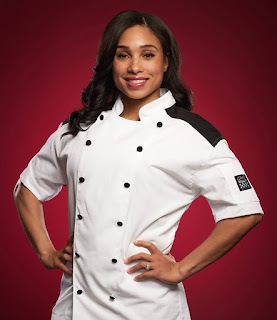 She was eliminated from Hell's Kitchen in episode 10 after burning the potatoes, cooking the beef poorly and having arguments with the team back in their dorm. After the show, she returned to being a private chef and restaurant consultant. Ben Walanka was from Overland Park, Kansas and competed in season 5, where he came in 4th place. 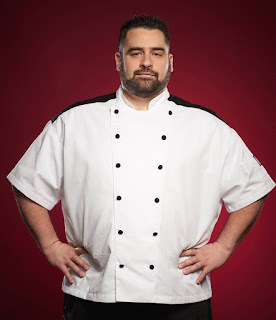 He was eliminated from Hell's Kitchen in episode 2 despite being on the winning team as Gordon had concerns for his health problems. After the show, he returned to his role as Chef de Cuisine at Ameristar Casino in Kansas City. Benjamin Knack was from San Antonio, Texas and competed in season 7, where he came in 3rd place. 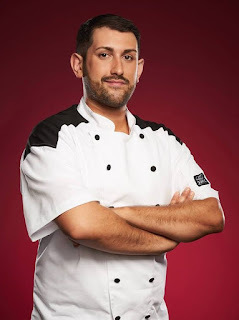 He was Hell's Kitchen season 17 runner up in the final after his team struggled in the finale. After the show, he became a private chef. Dana Cohen was from Emerson, New Jersey and she competed in season 10, where she finished in 3rd place. 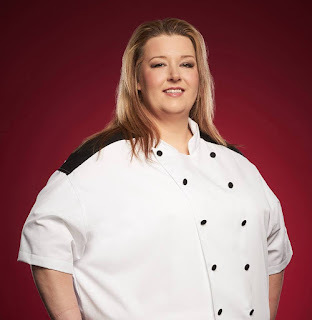 She was eliminated from Hell's Kitchen in episode 11 after burning the beef wellingtons and serving raw lamb and not being a strong enough leader. After the show, she returned to her previous roles as a personal trainer and personal chef. Elise Harris was from Newburyport, Massachusetts and she competed in season 9, where she came in 3rd place. She was eliminated from Hell's Kitchen in episode 12 after she left the poop sack in the lobster and her freestyle dish was unfinished. Gordon allows her to keep her jacket and encouraged her to stick at it. After the show, she regularly appears on cookery shows as a TV Chef, competes in body building competitions and has a meal delivery service. Giovanni Filippone was from Santa Rosa Beach, Florida and competed in season 5, where he came in 6th place. 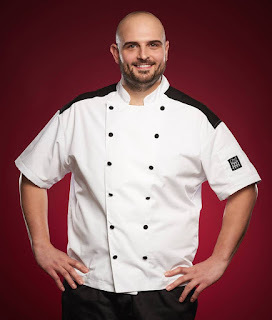 He was eliminated from Hell's Kitchen in episode 7 after his dish took too long, had too much pasta and not enough sauce. After the show, he worked at Vue on 30A at Santa Rosa Beach. Jared Bobkin was from Troy, Michigan and competed in season 15, where he came in 4th place. He was eliminated from Hell's Kitchen in episode 6 after calling for a medic for "cutting himself" when he began to struggle on garnish. Jennifer Normant was from Burlington, Massachusetts and competed in season 9, where she finished in 5th place. 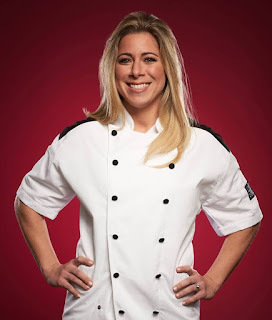 She was eliminated from Hell's Kitchen in episode 12 after her scallop and shrimp dish failed to stand up against Robyn's. After the show, she returned to her position of Executive Chef at Sea Level Oyster Bar. Josh Trovato was from Los Angeles, California and competed in season 14 finishing in 5th place. He was eliminated in Hell's Kitchen episode 5 after he struggled on fish and was removed from the kitchen. He attempted to re-enter the kitchen before being pulled aside by Gordon, who eliminated him. After the show, he became a fitness and health guru and is an actor. He is also a part time bartender and does cookery events. Michelle Tribble was from New York City and competed in season 14, where she came in 3rd place. 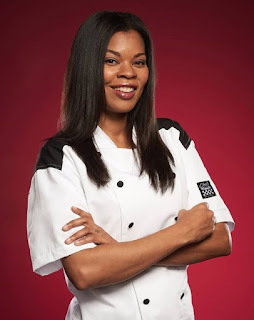 She was the Hell's Kitchen season 17 winner and took up the position of Executive Chef at the Caesars Palace Hell’s Kitchen in Las Vegas with a salary of $250,000. Milly Medley was from Philadelphia, Pennsylvania and came in 4th place in Hell's Kitchen season 14. 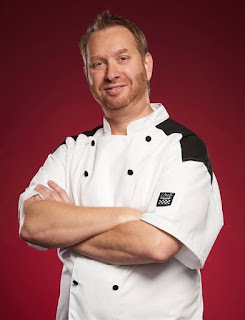 He was eliminated from Hell's Kitchen in episode 14, Gordon felt he had improved and offered for him to work in his restaurant with him. After the show, he returned to his position working at Gordon Ramsay Pub & Grill at Caesars Atlantic City alongside Meghan Gill. 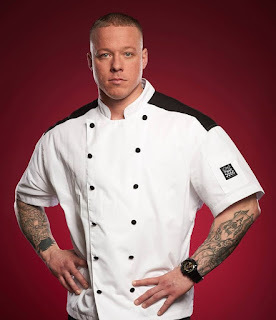 Nick Peters Bond was from Newburyport, Massachusetts and came 5th place in Hell's Kitchen season 14. He came in a very close third place after a final cook off challenge was judged by five judges. After the show, he co-founded catering company Kitchen to Aisle Catering & Events, LLC. Robyn Almodovar was from Fort Lauderdale, Florida. She competed in season 10, where she came in 6th place. 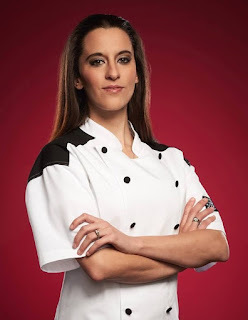 She was eliminated from Hell's Kitchen in episode 13 after admitting that she had almost left the process and was not ready to lead the kitchen. Gordon respected her honesty and allows her to keep her jacket. 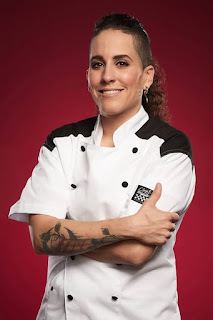 After the show, she continues to run her gourmet food truck, Palate Party and is co-owner and executive chef at Rumors Bar and Grill in Wilton Manors. She also does private dining experiences. Vincent Van Hurd was from South Glastonbury, Connecticut and competed in season 6, where he came in 6th place. 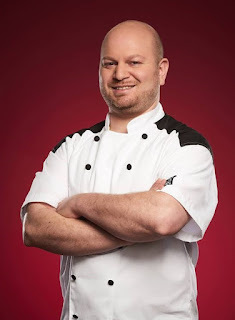 He was eliminated from Hell's Kitchen in episode 9 after serving an overcooked salmon dish. 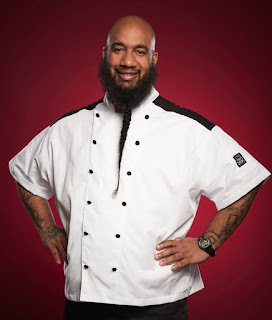 After the show, he returned to his position as Executive Chef at Taino Smokehouse. They did Ben Walanka and Van soooo dirty. Now hoping Milly, Michele and Dana could make it to top 3. I tried watching this season but had limited success. With so many of the most objectionable people (IMO) returning - Benjamin Knack, Barbie, Elise, Robyn - I simply counldn't tolerate it.